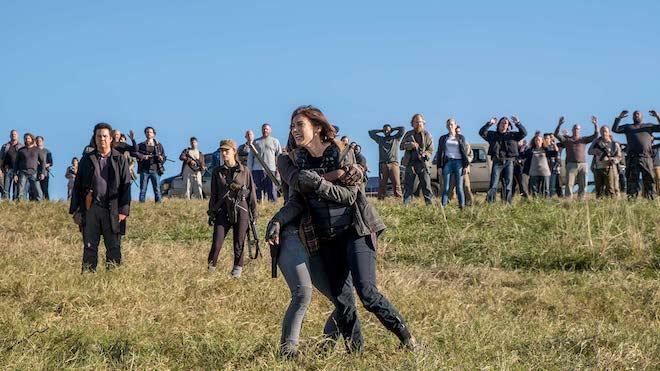 In the Eighth Season of The Walking Dead, the ultimate war between Neegan and The Saviors and Rick and his family of survivors comes to an intense climax with some heavy losses on both sides. New characters come into the picture while the human survivors start to question their leadership while using the undead as tools for survival. It's a solid season that has some slow moments here and there. The video and audio presentations are both very good and on par with past seasons, however, the bonus features are lacking. Recommended for series fans. 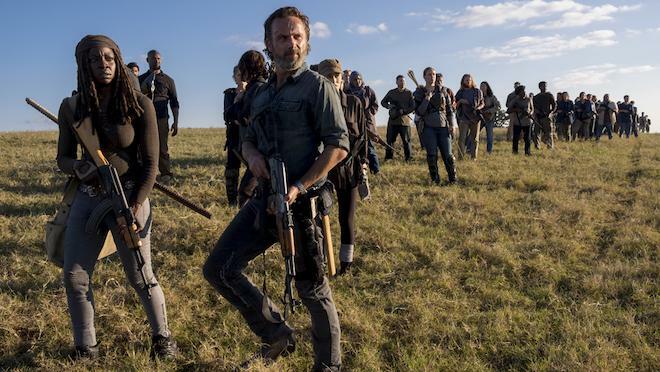 It's been a long, slow road to get to the eighth season of The Walking Dead -- a comic book phenomenon turned impressive television series -- and a lot of viewers have disappeared in the process for various reasons, which doesn't look to improve anytime soon. 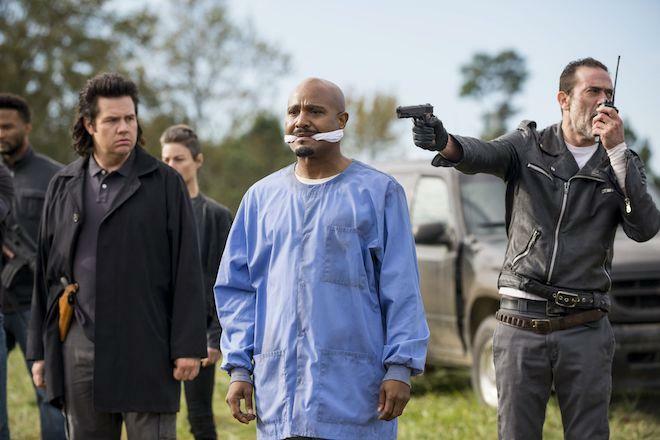 Season Seven ended with Neegan and his Saviors attacking Rick Grimes and his group at Alexandria. 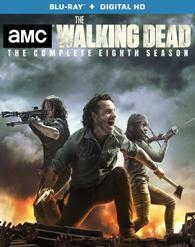 Season Eight finds all sides gearing up for an all-out war with a ton of action, zombies, and gore. Yet, despite all the action, the storytelling is quite slow. Our favorite characters split up and, with each episode, we follow only a few people at a time, which drags the pacing down to a crawl. Also, with the flood of new characters introduced over this and previous years, it can be difficult to keep up with everyone and everything involved. 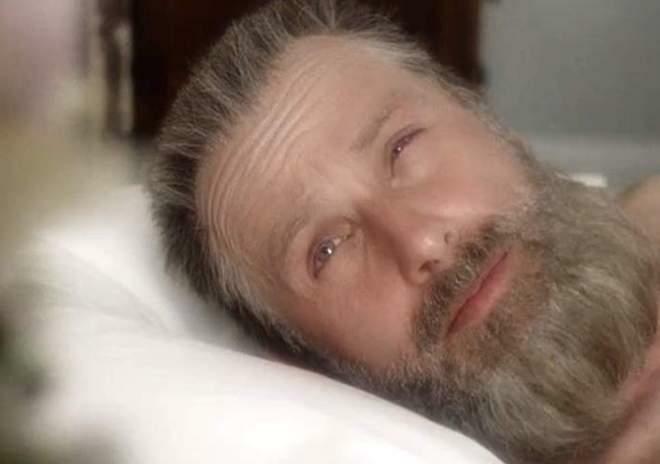 The Walking Dead prides itself on creating a universe where nobody is safe from dying off, but it sometimes feels like this show is killing big characters to drive up ratings (a death of the week, if you will). And even when someone truly important dies, there isn't any time for the characters to mourn. Instead, it's just off to the next zombie attack, next battle, or next emotional talk. What's, perhaps, most interesting in season eight, is how human survivors now use zombies as weapons and tools to wage war or imprison their enemies. It's original elements like that that will keep me here until the deadly end even when some of you have given up on the show. While Season 8 marks the last time we'll see some of our main characters, there are still some great characters in the show. Morgan, in particular, continues to impress with his deeper personality traits and struggles. And of course, the blood, guts, and gore are top notch and seem to get better, bigger, and stranger with each season. Season Eight of The Walking Dead feels like the beginning of the end in more ways than one, but let's hope that somewhere in seasons nine and ten, characters and story arcs can come more cohesive and less chaotic. This release comes with five 50GB Blu-ray Discs with all episodes and bonus features included. There are no digital downloads or DVD copies here. There are some promo inserts for the show though. The discs are housed in a hard, blue plastic case with a cardboard sleeve. The Walking Dead Season Eight comes with a 1080p HD transfer and is on par with the previous seasons. As time has gone on through this post-apocalyptic scenario, most things have decayed a significant amount; details show off rusted cars, worn clothing, and even the excellent makeup on the undead. Individual tall grass blades and bullet-ridden houses reveal nice detail as well. While most colors in this hellish future are not bright, primaries like blue skies, green grass, and red blood n' guts make an impact. Black levels are rich and deep, and show very little sign of crush, even in nighttime sequences where fire is the main source of light. There is a nice layer of film grain to give a pure cinematic look throughout, although grain levels can spike in a couple of heavy action sequences. Skin tones on the living are normal as well. There are no issues with banding or aliasing to speak of here. The Walking Dead Season Eight boasts an intense Dolby TrueHD 7.1 mix. Ambient noises are quite loud and robust in every episode. Insects, footsteps, and zombie moans can be heard on all speakers. What's great about this is that these sounds vary in levels to give a sense of distance and depth from where the action is happening. It's quite immersive, to say the least. Gunshots, rumbling motors, and explosions pack a punch with the needed bass at times, and sound effects like flying bullets create realistic immersion. There are several instances in this season where characters are surrounded by the undead or enemies, where each speaker fluctuates with all the necessary sound effects and leveling that will place you right in the center of this chaotic scene. Flying bullets also offers a realistic sense of immersion. The show's score elements always add to the destruction and suspense of each scene, and the dialogue is crystal clear and free of any pops, cracks, and hiss. The Walking Dead Season Eight comes with a light batch of bonus features, including two lackluster audio commentary tracks and a trio of short interview pieces about the season. Audio Commentaries - There are two episodes with audio commentary being Ep. 3 and Ep. 16. The Executive producer and writers for the episode deliver the commentary tracks which are fairly bland at this point. Discussions about story arcs, the sets and locations, characters, and monster makeup are discussed. Carl Grimes: Leaving a Legacy (HD, 9 Mins.) - Cast and crew talk about the character along with some clips of Carl from the whole series. In Memoriam (HD, 10 Mins.) - Another chapter in who died this season along with the actors and crew discussing their reactions to the deaths. The Price of War (HD, 11 Mins.) - More or less and EPK piece of the cast and crew talking about the major plot lines throughout the season along with new characters. There are some behind the scenes footage here too. The Walking Dead Season Eight is perhaps the last time we will see all of the main characters together and in this present timeline, because as season nine travels along in the future, more is at stake. This season was about an all-out war between two sides who think their way is better than the other without regard to keep the peace. As a Blu-ray, Lionsgate has delivered a lackluster set of special features, but generally strong video and audio presentations, making this set Recommended for the series' remaining fans.